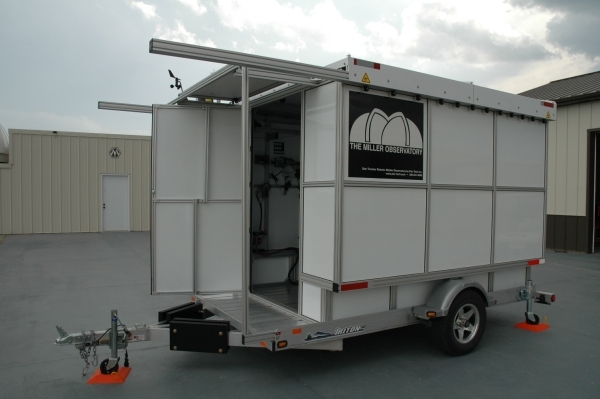 This Star Traveler XL mobile observatory size is perfect for large group viewing, or multiple pier / Telescope applications. 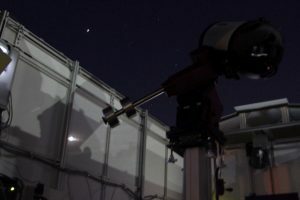 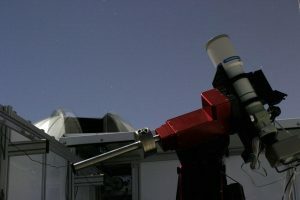 This observatory is well suited for research projects that require extra space for equipment and research components. 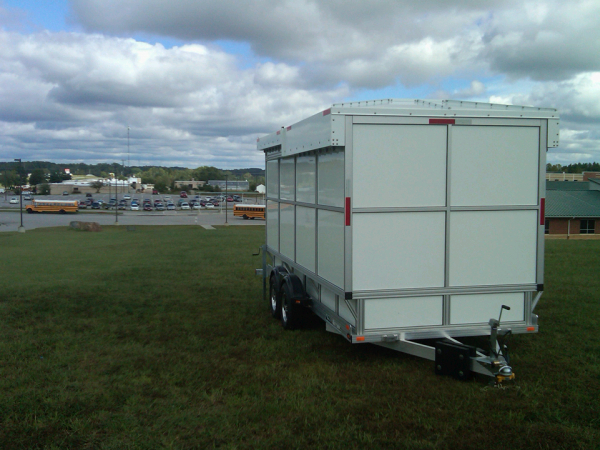 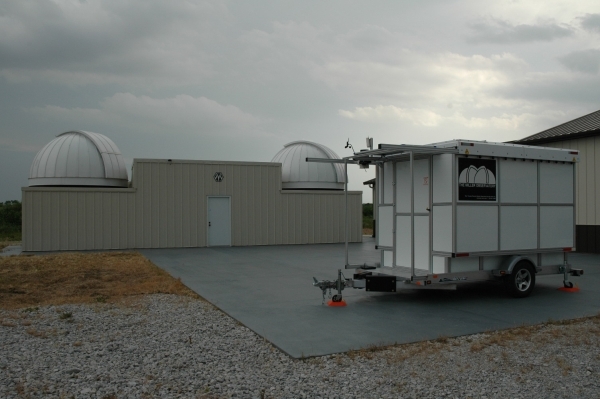 The Star Traveler Mobile Observatory was road tested on November 3, 2007. It was driven from Chicago, Illinois to College Station, Texas. A trip of 1100 miles, at an average speed of 60 miles per hour. 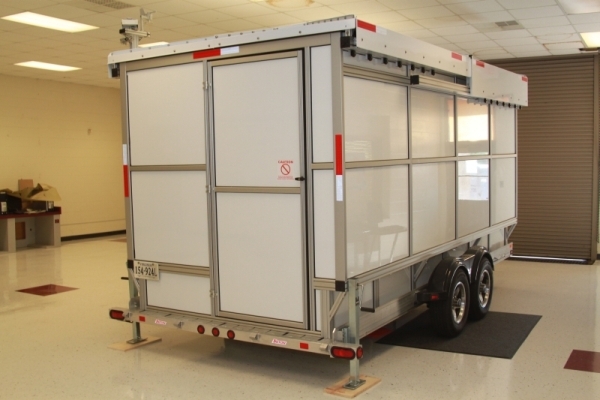 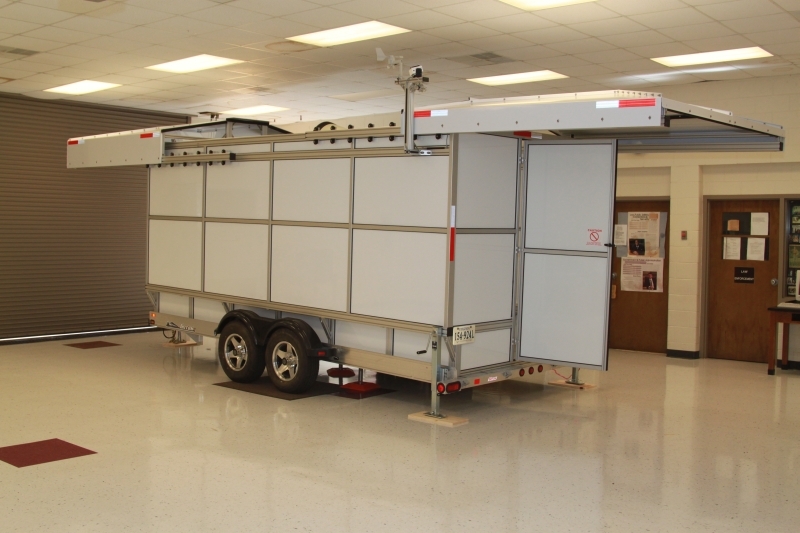 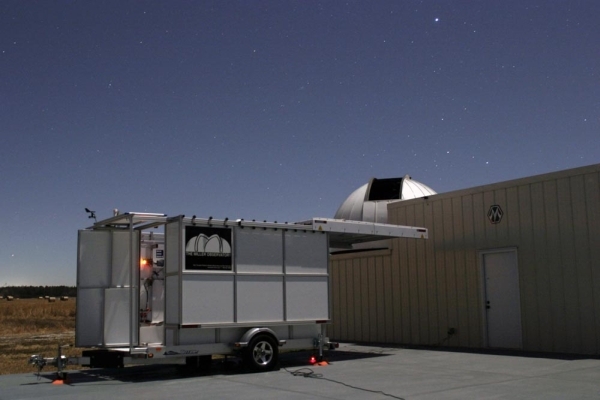 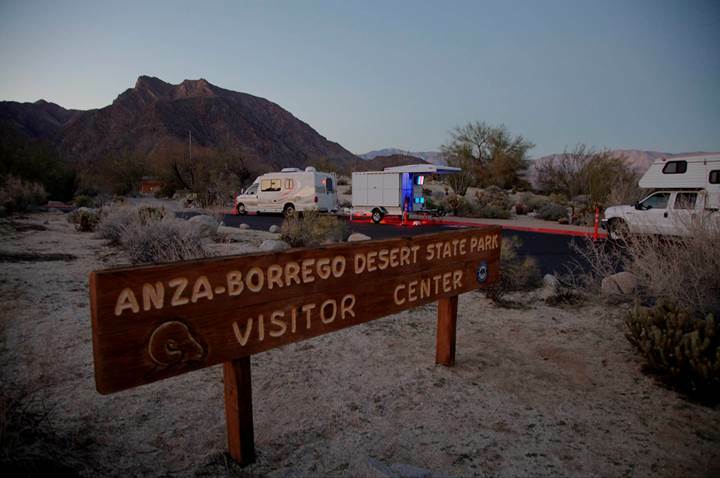 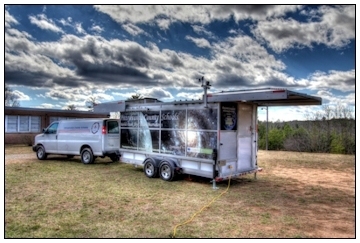 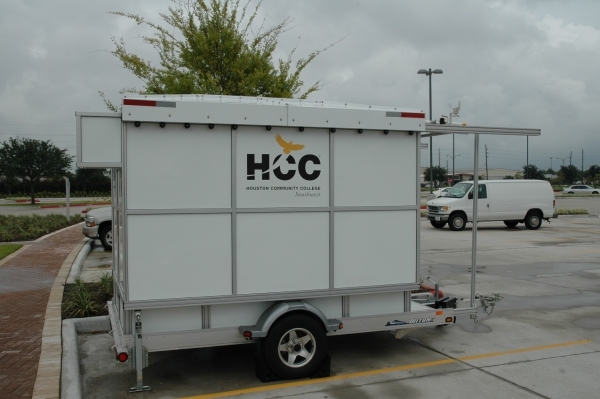 A second Star Traveler Mobile Observatory was road tested on January 7, 2008. 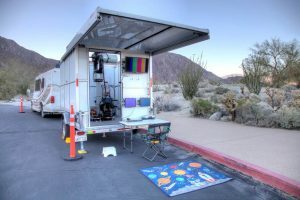 It was driven from Chicago, Illinois to Miami, Florida. A trip of 1400 miles at an average speed of 60 miles per hour. 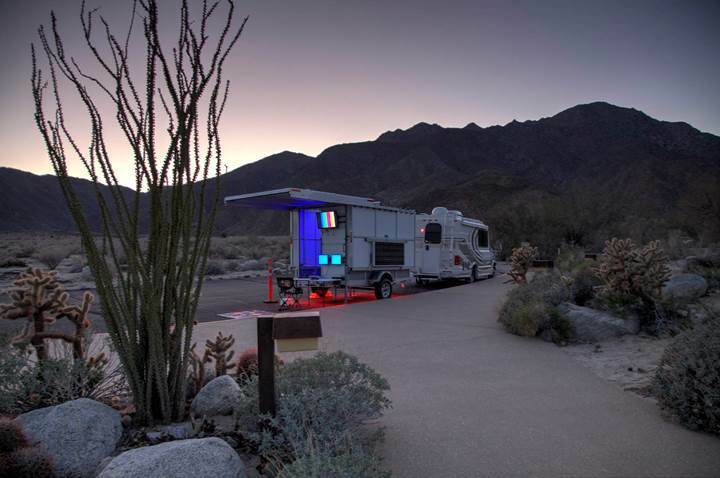 • Built out of aluminum with stainless steel mounting hardware, the Star Traveler Mobile observatory will last a lifetime. Below are the standard features, available sizes, and options. 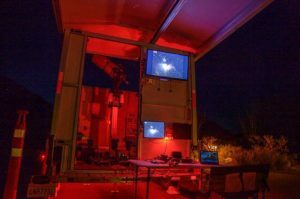 • Have an observatory that you can use on your property and also be able to drive to star parties, without having to dismantle your setup. 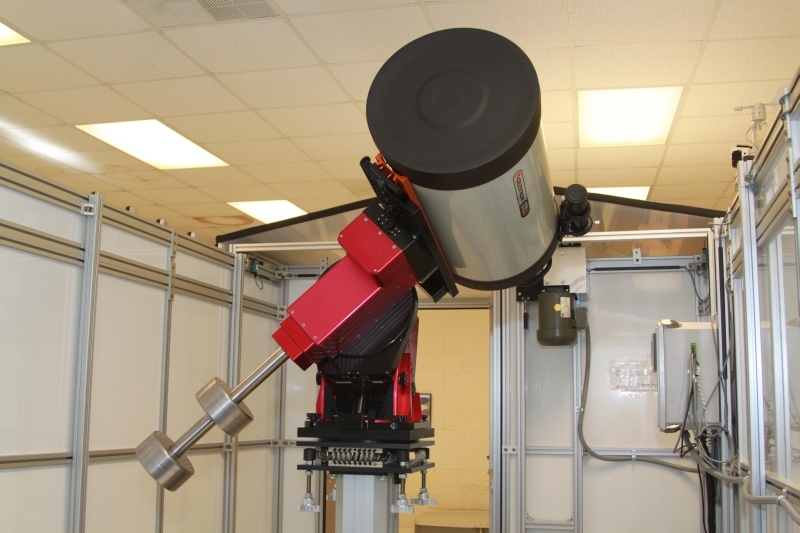 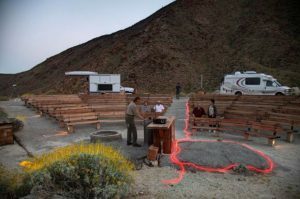 • Attend your favorite star parties without having to disassemble your whole telescope setup. Keep all your equipment mounted during transport. 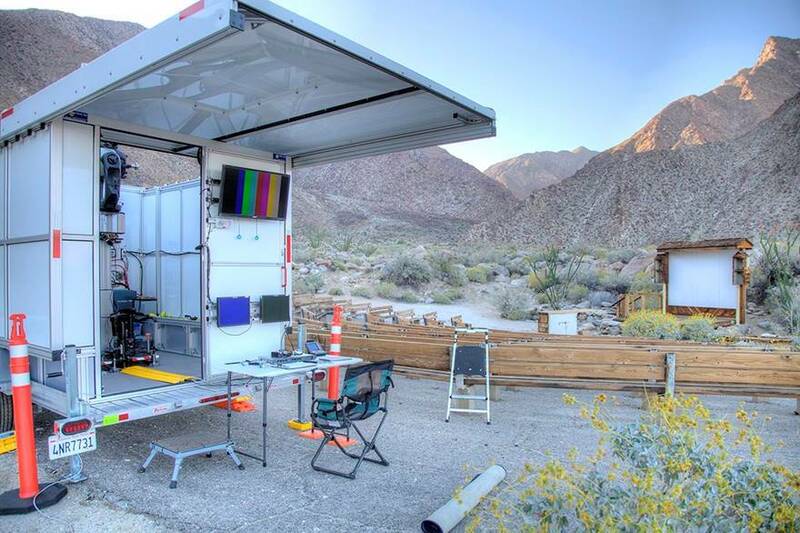 Set-up takes only 10 minutes. 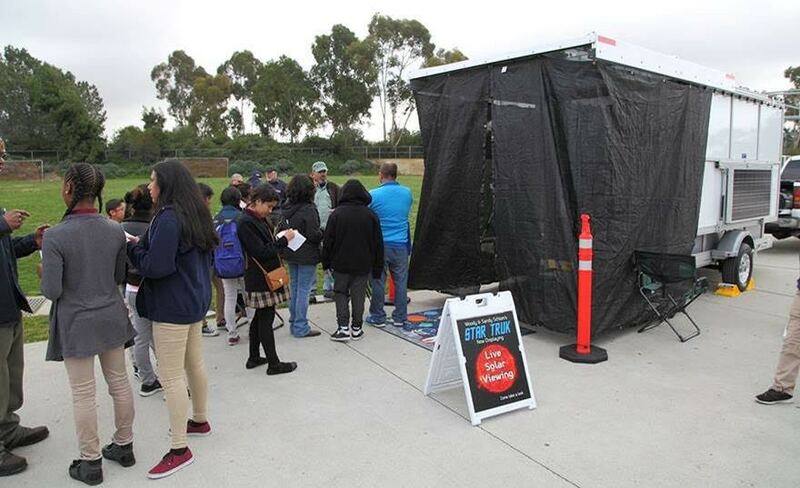 • Public outreach programs to schools and community. Share your passion for astronomy by bringing your astronomy to others. 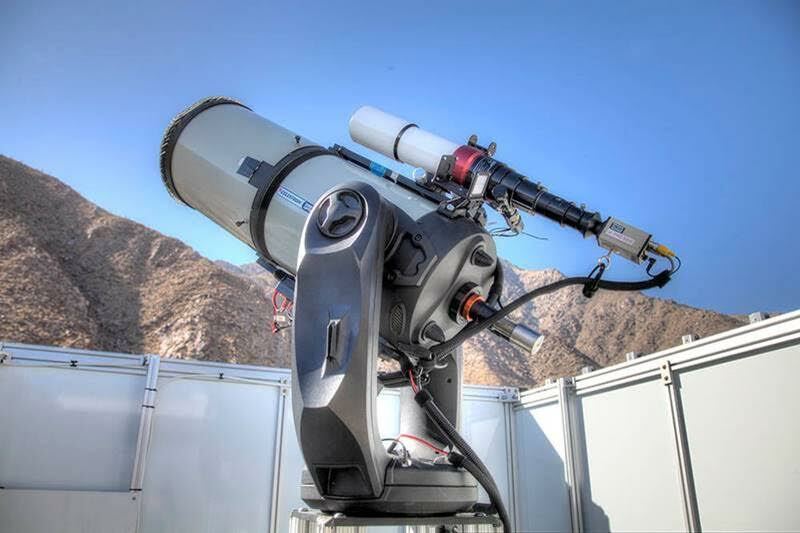 • The Star Traveler can be positioned in various remote areas and be controlled via the internet, as a remotely operated observatory, via a wireless link. 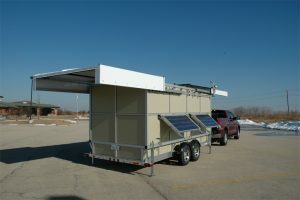 Since it can be solar powered (optional with available solar panel system), it can serve as a self reliant system. 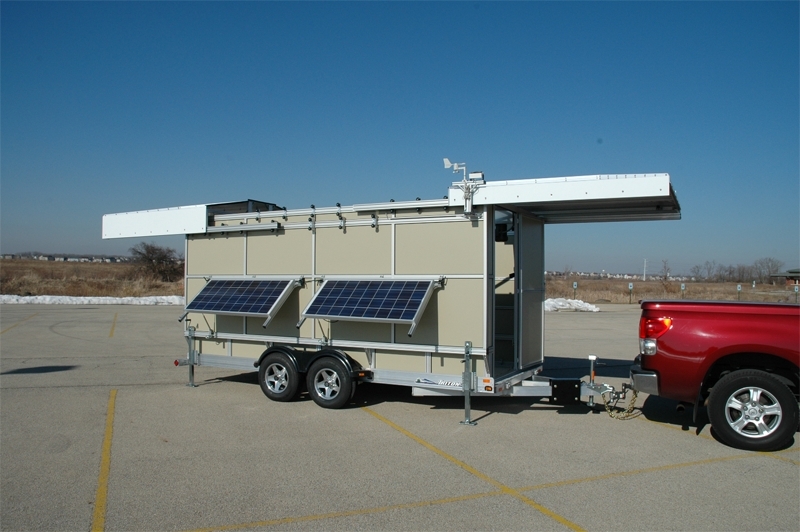 • Great for RV applications. 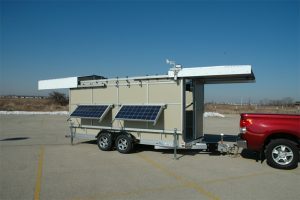 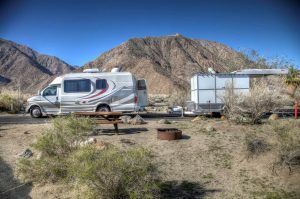 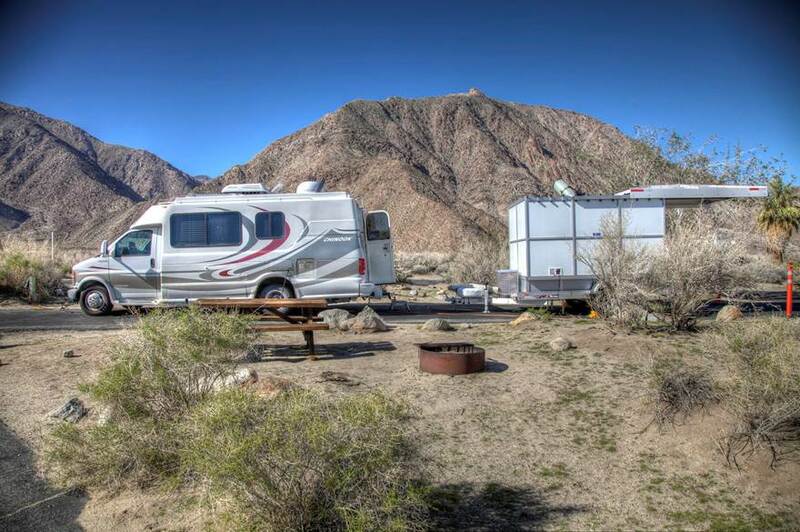 If you are a RV enthusiast, this is a way to take your observatory with you when traveling across the country.